Heres a superb new online slots game everyone must try. Time to awaken your inner Ronaldo in Bicicleta, an online slot game by Yggdrasil Gaming. 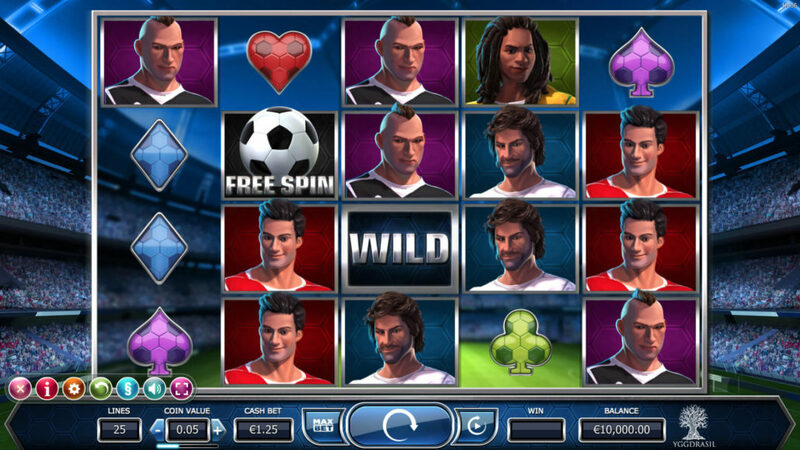 In this slot, you’re going to enter an action-filled football theme and an opportunity to play alongside your favourite footballers. Bicicleta has 5 reels and 25 paylines, where you can line up wins worth 1,000 credits. The game is exciting to play and may get you sweating as you run about. Enjoy bonus features like sticky wilds, wild reels and free spins. Football is a game that has the ability to bring people together. It’s a way to form friendships, de-stress and have fun. If this isn’t your favourite sport, maybe trying this play slot game by Yggdrasil will change your mind. You can expect the usual aspects of football here; a football stadium full of screaming fans to give you the thrill and feeling of being right at the centre of the action. Other symbols include players and the classic card suit icons. The cards have been redesigned; the characters have a 3D cartoon appearance, highlighted physiques and quirky hair-dos. Yggdrasil Company is slowly gaining a reputation of breaking out in terms of slot machine ideas. They’re creating more of works of art than typical casino online. Bicicleta is another example of their good work. Their games always have something different that not many other slot machine companies are doing. Be it groundbreaking concepts, innovative graphics, smooth gameplay or hefty jackpots. There’s always something new in their creations. In Bicicleta they have exciting bonus rounds of free spins and the concept of sticky wilds reemerges. If you love promo's, get the best slot machine bonuses today. The game’s quality is top notch, but if you have played games by Yggdrasil Gaming you’re used to that by now. It works great on smaller, screens in devices like your smartphones and tablets. When you start the game the only concern should be what your stake per spin will be on the 25 fixed paylines. You could choose any of the following; 4.00, 3.00, 2.00, 1.00, 0.70, 0.50, 0.30, 0.20, 0.10, 0.07, 0.05, 0.03, 0.02 and 0.01. You also have the option to go bigger and bet 100.00 per spin. The game also allows you to control autoplay or spin speed. Wild symbol- The wild symbol is marked by the word “wild” and replaces all the symbols in the game and pays the highest. Free spin- The free spin icon can reward players with 8, 16, or 24 free games when 3 or more of these icons appear on the reels. If the trophy appears on the 5th reel, your reward is up to 12 free spins or a random prize of up to 1,000 credits. Sticky wilds- During the free spins round, football player characters appear and show their skills by executing an acrobatic Bicicleta kick. If this player manages to bypass the goalkeeper, the back of the net turns into a sticky wild throughout the rest of the game. Trophy symbol- If a trophy symbol appears on the last reel during the free spin round, your reward is a wild reel that substitutes symbols on any given reel with sticky wilds. 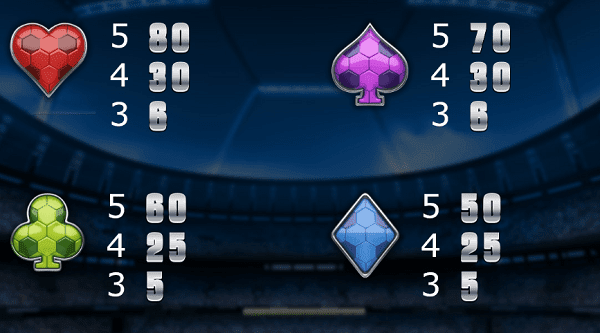 Bicicleta is a perfect online slot game to get you excited about the World Cup 2018 tournament. If your understanding of some teams is also a bit rusty, you can play this game and brush up on your skills here. Bicicleta promises exciting footballing action for all you football lovers who want to earn a few pounds while playing your favourite game. You’re going to appreciate the gameplay, graphics and rewards even if you’re not a big football fan.